We all know staying active is important, but sometimes we need a little push. Here are 10 dream homes that will give you the motivation you need. We all know staying active is important, but sometimes we need a little push. Here are 10 dream homes for sports fanatics that will give you the motivation you need. 2571 Del Lago Drive, Fort Lauderdale, FL listed by Gilles Rais with Coldwell Banker Residential Real Estate for $10,900,000. March Madness is upon us and we just have to start the list with this luxurious modern Italian style estate with a waterfront basketball court. 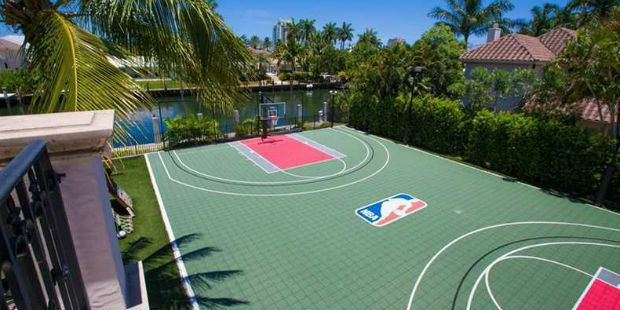 Yes, waterfront basketball court overlooking Harbor Beach in Fort Lauderdale, FL—so your basketball star friends can pull up in a mega-yacht to your exquisite backyard. 360 Laurel Road, New Canaan, CT listed by Kelly Feda with Coldwell Banker Residential Real Estate for $12,000,000. Is it too cold, too hot or too windy? Don’t let weather get in the way of your practice. If you lived in this exceptional estate in New Canaan, CT, you can always practice your perfect swing in the sports barn which includes a golf simulator room, basketball court, bowling alley and movie theater along with a game room that features billiards, pinball, and a milkshake bar. 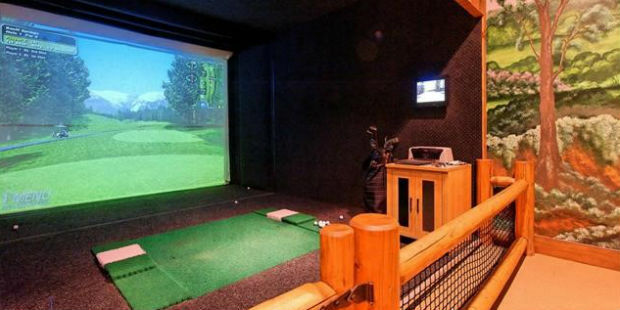 Calling all obsessed golfers to spend a day playing one of the 50 courses on the golf simulator followed by watching Caddyshack in the private theater. Don’t forget the milkshake! 13935 Hilldale Rd, Valley Center, CA listed by Judy Bresnahan with Coldwell Banker Village Properties for $3,250,000. Batter up! We have the perfect property that really hits it out of the park. 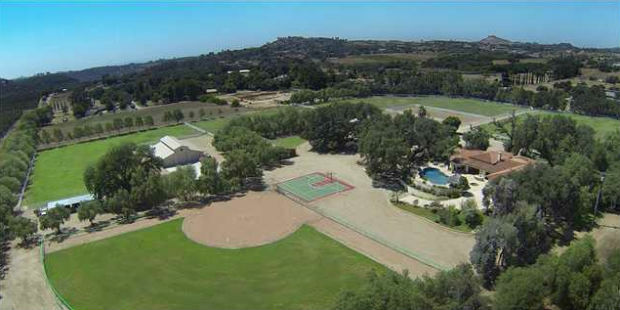 This 25-acre property in Valley Center, CA is complete with a private baseball field. Plus, it’s baseball season 365 days a year in sunny SoCal. 155 Kings Mountain Rd, Woodside, CA listed by Erika Demma with Coldwell Banker Residential Brokerage for $14,995,000. 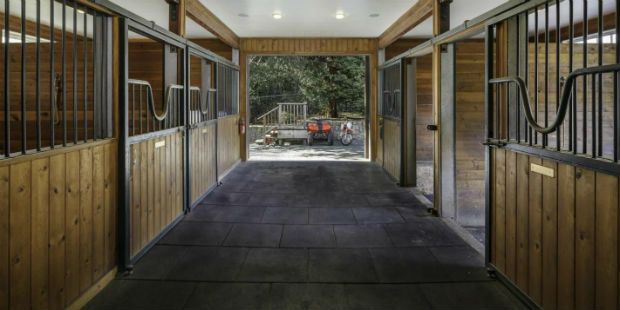 Keep your horses happy on this luxurious property with magnificent landscaping in Central Woodside, CA. Complete with a beautiful 8-stall barn, this 5-acre property boasts full sunshine all day. 387 Ocean Blvd, Golden Beach, FL listed by Jill Hertzberg with Coldwell Banker Residential Brokerage for $29,000,000. This rare beachfront home, one of only a few found exclusively on Golden Beach, is a true Mediterranean masterpiece with beyond extraordinary direct ocean views and direct beachfront. This property is perfect for the sunrise beach run. 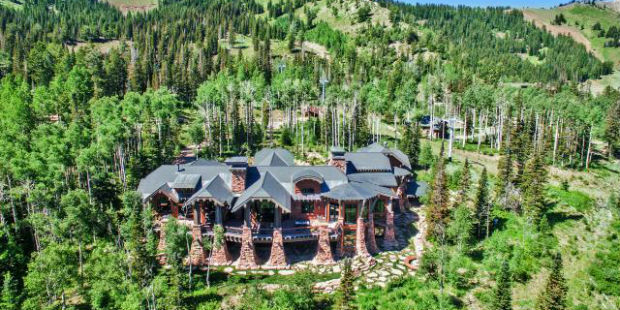 141 White Pine Canyon Rd, Park City, UT listed by Bing Zhang with Coldwell Banker Residential Brokerage for $ 7,995,000. Get your skis ready and head to the largest US ski resort, Park City Mountain Ski Resort. Nestled on 4.16 acres in a private gated ski-in/ski-out community, this sophisticated yet modern home was featured in MTV’s Teen Cribs and Discovery Channel. When you are done skiing, be sure to cozy up by the fire place with a hot cocoa. 32 Watch Way, Lloyd Harbor, NY listed by The Friedman Team with Coldwell Banker Residential Brokerage for $13,880,000. No, this isn’t a picture from the 2017 Lilly Pulitzer catalog. This is a mansion that sits on 33 acres of land on Long Island. 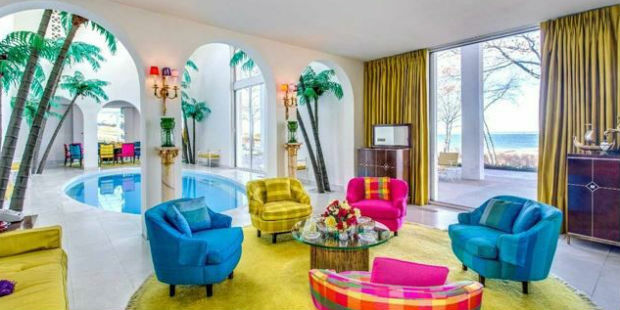 The mansion was designed by world famous architect Edward Durell Stone. Swimming in style never goes out of style. 613 N Canon Dr, Beverly Hills, CA listed by Ron de Salvo with Coldwell Banker Residential Brokerage for $39,995,000. 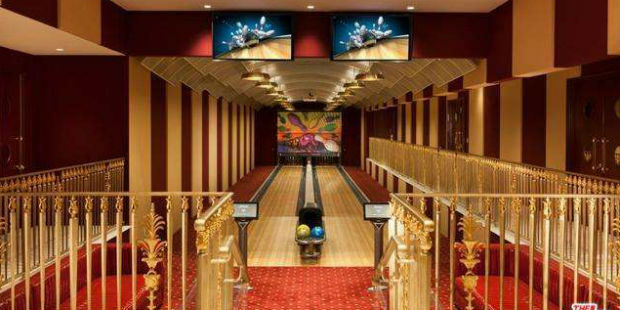 Bowling has become trendy, but who would’ve thought a bowling alley could be so elegant? Maison 613 sets a new standard of elegance, beauty and sophistication in the residential landscape of Beverly Hills. No need to wait in line to rent bowling shoes at Bowlmor Lanes or Lucky Strike if you own a private Qubica AMF 2 lane Bowling Alley in your home. 7 Carpenters Brook Road, Greenwich, CT listed by Marianne Scipione-Lepre with Coldwell Banker Residential Brokerage for $4,650,000. Put on your tennis whites and let your inner Serena Williams shine! This 4-acre European-influenced estate in Greenwich, CT inspires serenity with its elegance and sophistication. Ace your tennis game while soaking up the sun, then go for a refreshing dip in the pool which is conveniently located right next to the tennis court. 5403 Kalanianaole Highway, Honolulu, HI listed by Tracy Allen with Coldwell Banker Pacific Properties for $20,000,000. 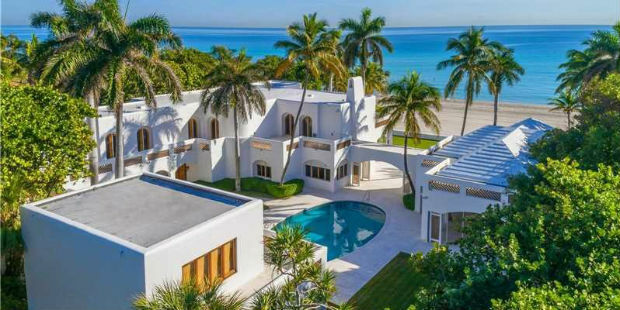 You don’t need to go to a special yoga retreat to find your inner peace, when you live in this stunning 1.43-acre modern oceanfront estate with 185 linear feet of beach frontage, tennis court/tennis pavilion, sparkling pool, Jacuzzi & pool pavilion and lush, tropical landscaping. 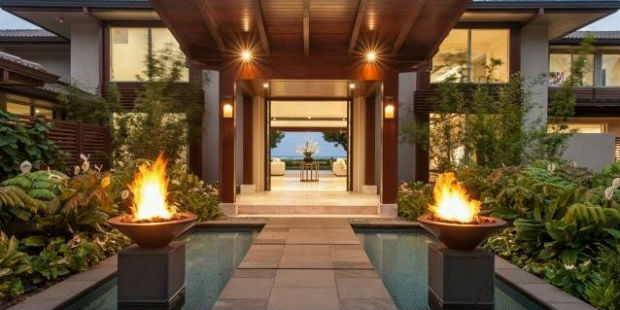 With such magnificent views of this Honolulu property, you bet Namaste home all day. To see more dream homes, follow us on Instagram and Pinterest. 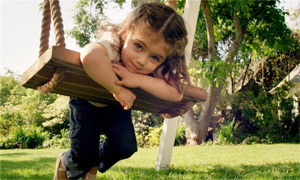 And find your own dream home at coldwellbanker.com. From pendants to Murano glass chandeliers, here are 11 light fixtures we're head over heels for. With new events like surfing, karate and climbing being added to the 2020 Summer Olympic Games in Tokyo, these homes would be the perfect spot to live the life of a future gold medalist.